Otterbox: Not Just For Apple Products! You are here: Home / Great Deals / Otterbox: Not Just For Apple Products! Otterbox offered me an Otterbox to try. I always thought they were just for iPhones I never knew I could get them for Android phones! Many people have asked us about the Otterbox and they thought the same thing, too! Hubby just bought a Samsung Galaxy Note II, so, he got to try the Otterbox out for his phone. 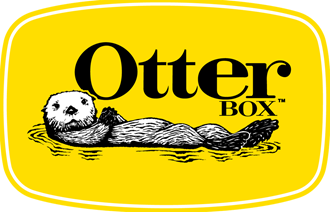 For more info and to connect with Otterbox, check them out on their website, Facebook, Twitter, and Instagram! Do you have an Otterbox? How do you like it? If not, have you thought of buying one? They have them for Tablets, too! They have an Armor Series that is Waterproof, Drop Proof, Dust Proof, and Crush Proof! That’s pretty powerful! You can even build your own color combo on their website! Nice! I have never so much as scratched a phone, however, Bear has broken, smashed, or demolished EVERY phone EVER given to him – he even bathed his first tablet in Dr. Pepper! So, an Otterbox is definitely the way to go for him and Hubby!